March: Contract on broadcasts via Radio Milan International (RMI). July/Aug. : Weekly testtransmission, even mentioned in Radio Austria´s DX-newsprogramme. Febr. : Until July monthly shows via RMI; delivery contracts with WEA Europe and EMI Cologne. Introduction of the wonderful RADIO JOYSTICK (RJOY) – QSL-cards. Jan.: Only on 3rd of Jan. the RJOY-show could be heard via RMI; end of Jan. the RMI- shortwave-transmitter signed off – for ever! Until July weekly Black Musik Shows (120 min) for Radio Telstar Int. in East Belgium. 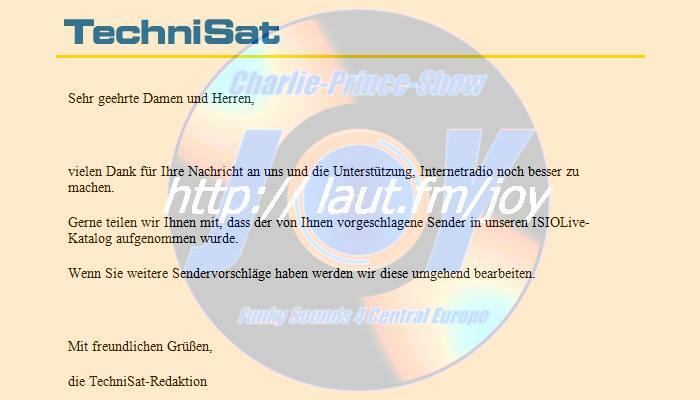 March: Charlie´s first show for “Kabelfunk Dortmund” of the “Westdeutscher Rundfunk”. April: RJOY reached No. 5 in the Pop Poll of “PIN Magazine” (Best german Free Radio progr.! In summer one single show via WDR with noone else but Charlie and a bottle of mineral water in the studio! July: Charlie´s second show for “WDR-Kabelfunk Dortmund”. Dec.: End of all delivery contracts with BMG Ariola, WEA, EMI and DA. March: First contact to the “Italian Radio Relay Service” in Milan. RJOY-shows via Radio Europe, Milan, in April, May, July, Sept., Nov. and Dec.
Jan.: First px of regular bimonthly shows (60 min, repeated) via IRRS/SWRS. 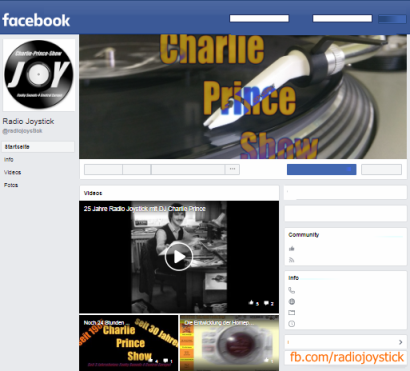 Sept.: RJOY-show with recordings from the “good ol´ days” and interview on Free Radio. Nov.: Radio Joystick (RJOY) reached No. 3 in SRS Pop Poll (“Best european Relay Station”! Again regular bimonthly shows via “Italian Radio Relay Service”, SWRS became “Radio 510?. Dec.: RJOY reached No. 7 with 33 logs in Germany´s “Free Radio Audibility Statistics”! 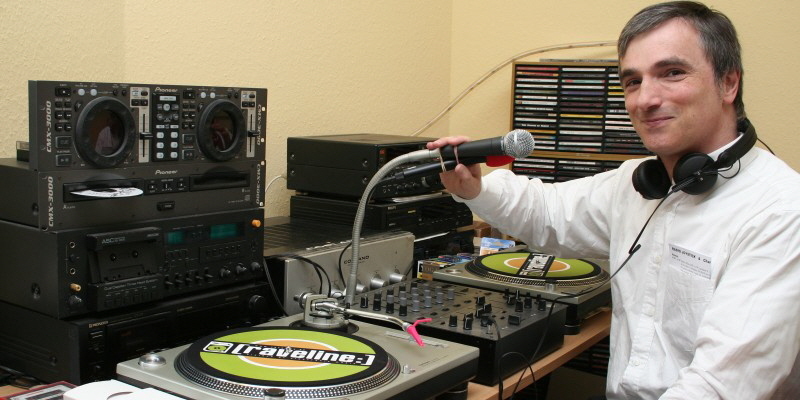 Changing the musical format to Breakbeat, House and DnB. First reports on Malta. In early summer it starts with WRMI in Florida (until Dec. 2004) and later in summer (until Dec. 2008) LVRTCin Riga with transmitters in Ulbroka! Febr. : Weekly programmes every Friday evening at 8:00h local time on Medium wave, 1602 kHz, via Radio Waddenzee in The Netherlands! Return to relay station “Italian Radio Relay Service” in Milan, Italy, with musical change to the hits of the 70s up to now – and with a brandnew jingle package! Changing the transmitter: Now it is Moosbrunn near Vienna in Austria. Our new stickers are 7,4 x 10,5 cm, available for double return postage! New homepage – this one!